Fun and mast Baar Baar with the whole lot of games, photo shoot and of course delicious dinning..
Meet over 200 young,dynamic and charming singles, willing to mingle with like minded people! There will be GAMING,FUN ACTIVITIES,TREASURE HUNT,FOOD & BEVERAGES and DJ Night! An exclusive FUN ICE BREAKER Activities with prizes. Let's Party from Dawn to Dusk, the gates are open from 11.00 am to 12.00 am. This is your chance and don't just let it go like a typical Thursday! 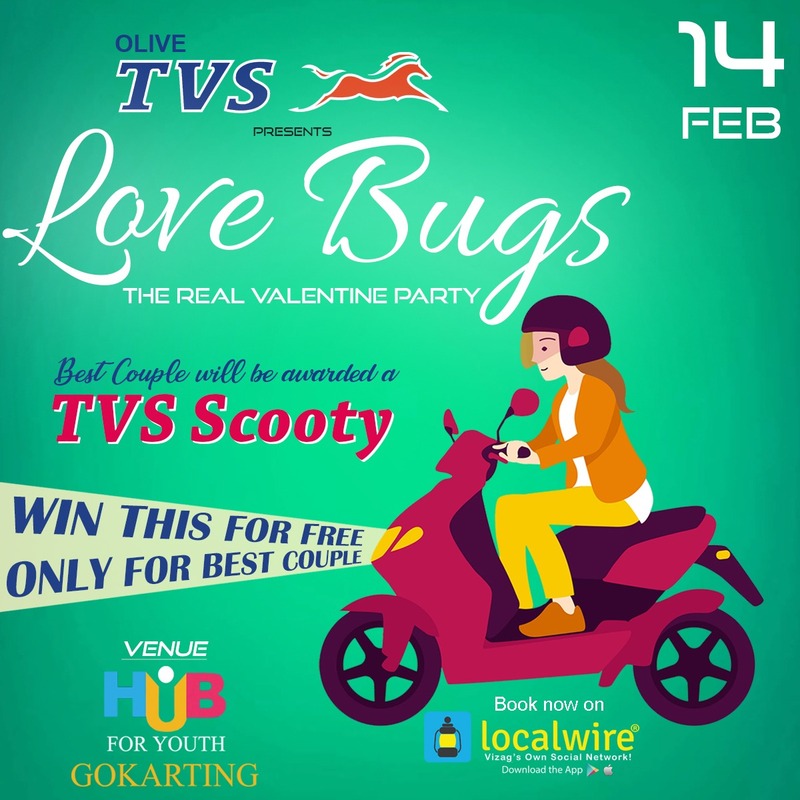 See you on *14th Feburuary at the Bay side "HUB FOR YOUTH GO KARTING VIZAG" Venue! 1. Management and Organizer's reserve the right of admission. 2. No illegal items or substances are permitted to the event arena and the total property. 3. Organizers are not responsible for your belongings and they have to be taken care by yourselves. 4. Standard terms and conditions apply. 5. Children below five years are not allowed to the arena. 6. Entry inside the venue is permitted only with valid entry ticket. 7. Kids are always supervised by their own parents or by gardians.